Sly Fox Shopper will show you where to find the biggest and best local bargains around. Here’s how to get started. Get the most from your money. 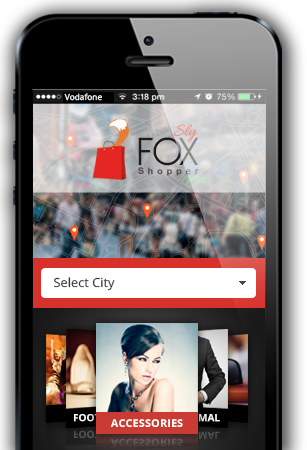 Get Sly Fox Shopper now and enjoy the great retail bargains that are waiting for you – on your doorstep. We’re adding to these all the time, so if you can’t see your local town or city right now, don’t worry, you soon will! Once a shopping category has been selected a list of all the shops in that category will be displayed showing their contact details and the distance of the shop from you. You can also search for your favourite shops by their name. You can also call the store direct from your phone and see their location and yours on an interactive map. Select the Promotions tab and all the offers and promotions in the selected category will be displayed showing which shops they are available in. Select one of the shops or a promotion to see all the details for that store or promotion. Want to know more about Sly Fox Shopper?